Have you ever wanted to help out a friend who was without a car but not had the time to drive them yourself or were uncomfortable handing over the keys with no supervision? Now with GPS tracking devices you can keep track of your car if you loan it to a friend and get peace-of-mind while your car is helping a person who has fallen on some difficult times. 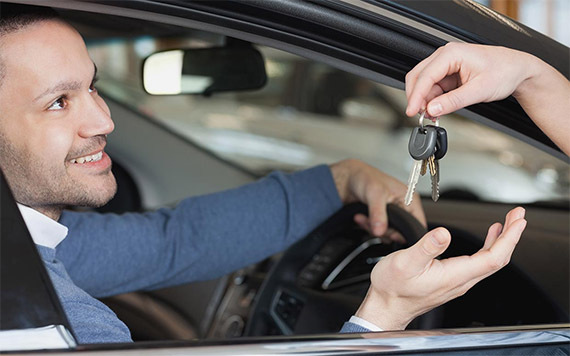 One of the most nerve-wracking things about loaning your car to someone else is letting your valuable possession out of your direct control but with GPS car trackers you will always know the exact location of your car. GPS car trackers let you follow your friend’s travels* knowing exactly where they are at all times from the convenience of your computer, or mobile device. *Depending on your state’s laws you may need to inform the driver that a GPS tracker is fitted to the car. If you’ve ever loaned a car to an out of town friend who was visiting you know they may not always be familiar with the local roads and side streets and can easily make a wrong turn. The GPS car tracker allows you to locate your friend and then provide assistance to them if they cannot find where they need to go or are unable to return to your location. If the car breaks down or gets a flat tyre at least you’ll know where the car is so you can assist your friend to get going again. Whilst we like to think that our friend will take care of our car. It’s good to know that if something happens, or if you don’t hear from them for a long while, you can use the GPS car tracker to find out where the car has been as well as where it is now. We all like to help our friends and family when they need a car and with GPS car trackers we can loan them our vehicle and still have the peace-of-mind of knowing where is it at all times.